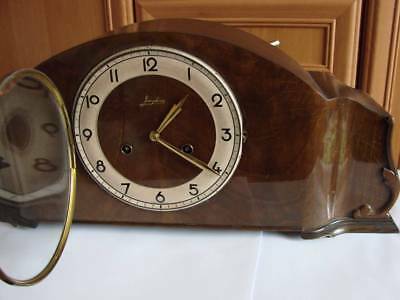 Junghans Mantel Clock 1920, With PENDULUM In Great Condition. Unsold EUR 137,39 Buy It Now, FREE Shipping, 14-Day Returns, Pay with PayPal and you're fully protected. Popularity - 67 views, 0.3 views per day, 207 days on eBay. High amount of views. 0 sold, 1 available. 67 views, 0.3 views per day, 207 days on eBay. High amount of views. 0 sold, 1 available.